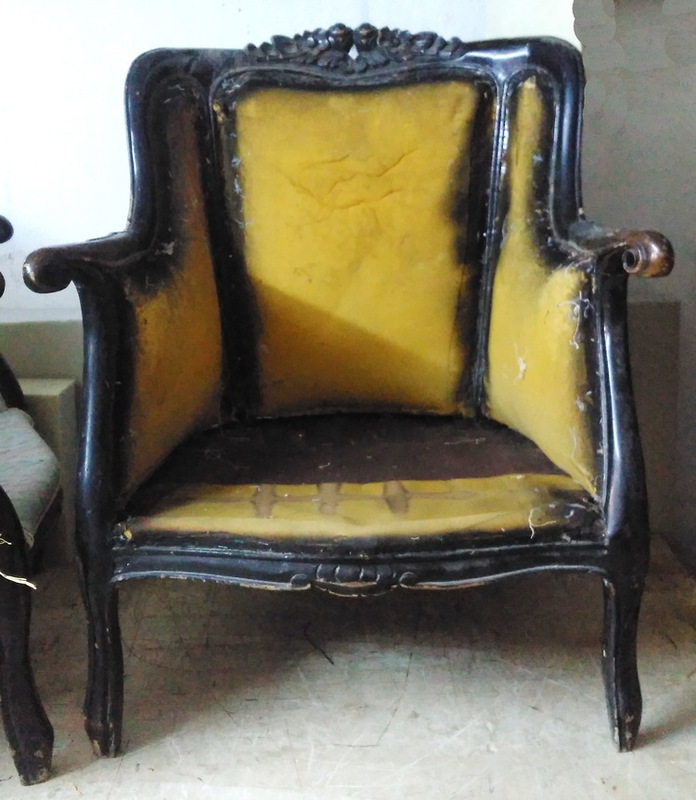 These ugly black/brown water stained chairs took many weeks of hard work and TLC. 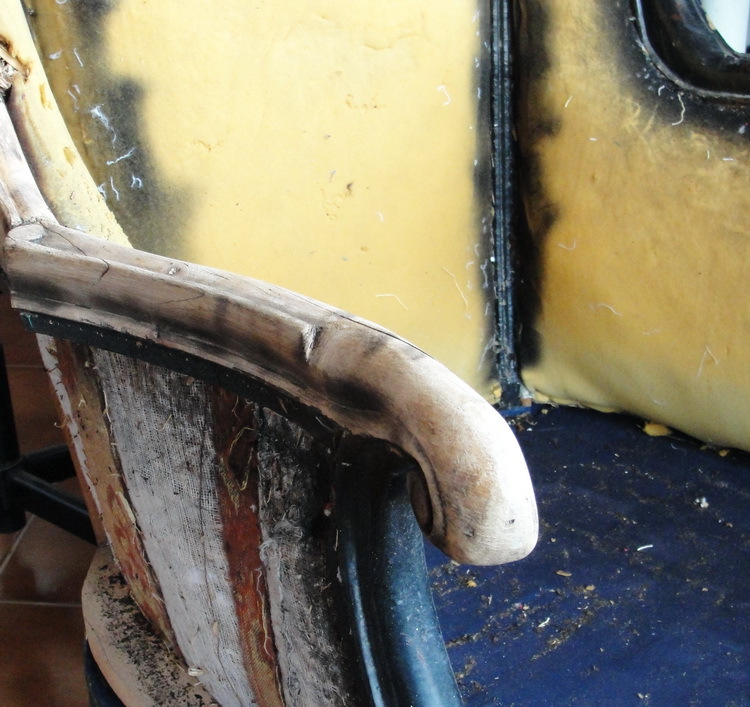 After peeling off old filling, upholstery and hay. It was time to peel off the ugly layers of brown and black paint, which took ages. I then spent several days painting them and varnishing to protect the paintwork. 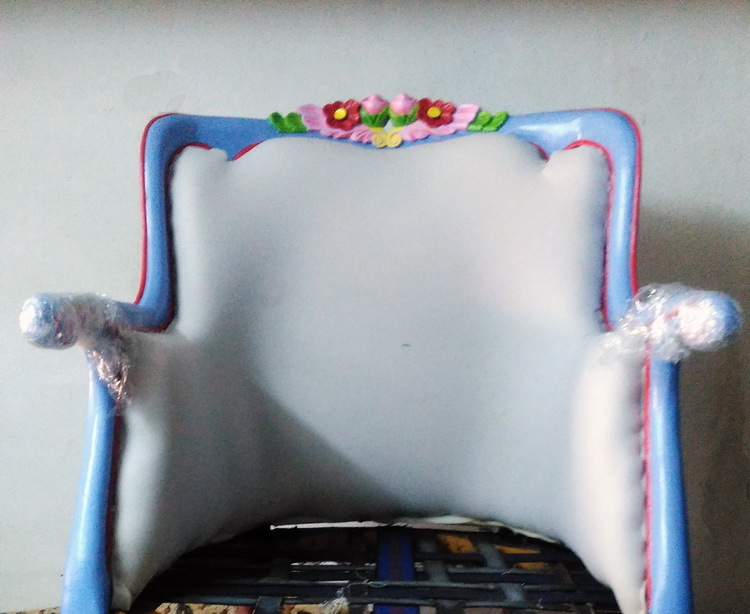 The original upholstery was done in 3 parts, and we have done a chair like that in the past but this time we made the filling one piece as we had scored the perfect embroideries to cover the entire back with one piece. Still rough at the edges but getting there! All fabric needs to be cut close by the staples with much care. And then the staples are covered with a pretty band. As the embroideries are vintage and handmade they have variations. You can buy one, but I hope someone will keep them together. They are available at StarHomeStudio, among our other unique furniture pieces. yeah! such fun! 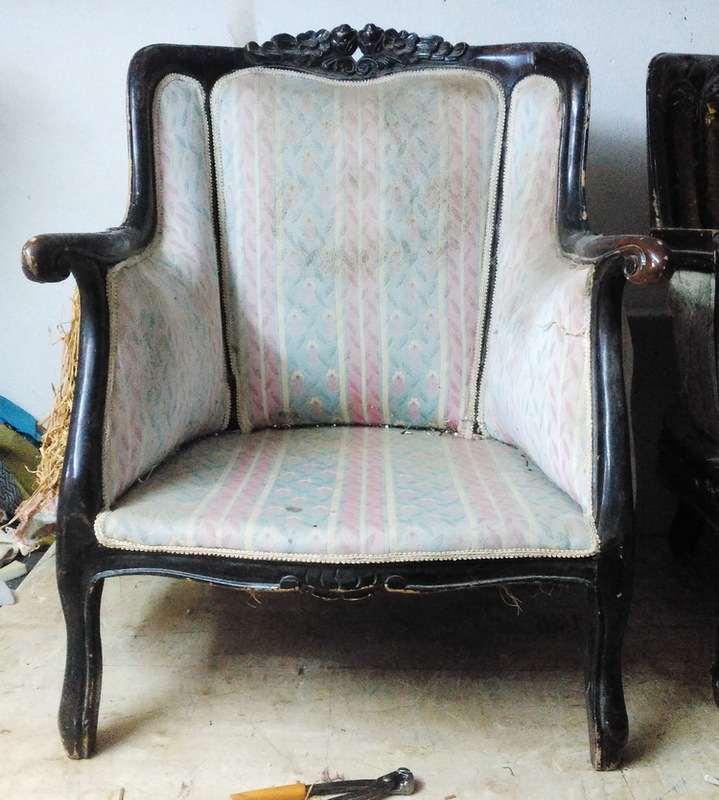 Love your furniture transformations! What a nice idea! You change it completely. Lovely. The insides are so interesting!The hay stuffing!? 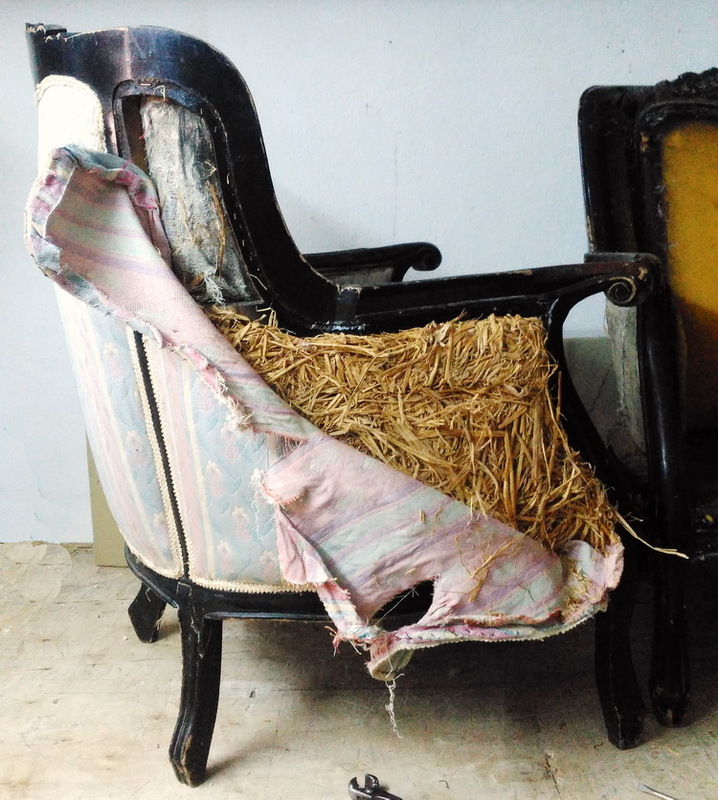 You bring new life back to sad, old pieces... lovely!